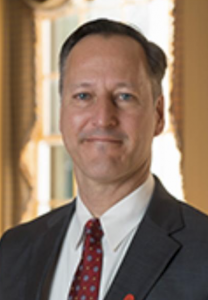 Rich Forgette is associate provost and professor of political science at the University of Mississippi. He also serves as the interim director of the Center for Intelligence and Security Studies at the University of Mississippi. Forgette’s research and teaching fields are in the study of legislatures, political reform, and community resilience. He is the author of three books and numerous journal articles on Congress, the federal spending process, voting rights and redistricting, federal disaster management, and public budgeting. His research has been funded by the National Science Foundation and Department of Homeland Security. He has led interdisciplinary research teams assessing disaster recovery and security after Hurricane Katrina, creating measures and models of community resilience to withstand large-scale disasters. He received his bachelor’s from Pennsylvania State University, a master of arts degree at the University of North Carolina at Chapel Hill, a master of science in public policy analysis, and a Ph.D. in political science at the University of Rochester. Forgette served for 11 years on the faculty at Miami University, and he was the American Political Science Association’s Steiger Congressional Fellow in 1996-97, working in the U.S. House of Representatives and the U.S. Senate.